Why do we have emblems and printing on school or college shirts/clothing? There are many reasons for this, but perhaps the main one is a case of identity. This is all about safety, because if you see a student around town, perhaps in trouble, and they are wearing their school uniform, you can easily identity them. On the flip side, perhaps you see some students actually causing trouble, and again, you can identify them. As you can see, it’s all about identity. 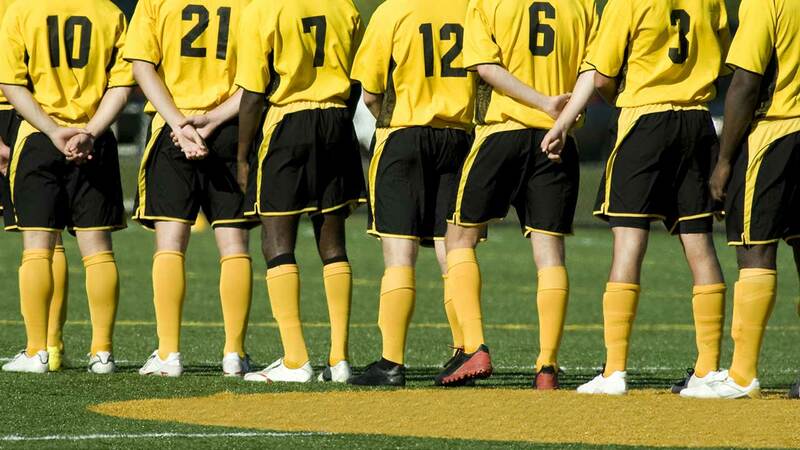 On a sporting subject, it’s about creating a sense of belonging, a sense of team spirit, and when you are talking about school or college football, soccer, rugby, or any other sporting discipline team, having a team strip gives pride and belonging, and this is something which is the same in a professional sporting team too. So, one of the first things a school or college needs to think about is actually creating custom graphics on shirts, bags, hats, pants etc, in the first place. If you have no idea where to start, here’s a little information to get you going. Put simply, shopping around is the best bet. There are countless printing companies out there, but some may be too expensive, some may be sub-standard, and some may not offer the same scope of printing facilities as others. Sublimation printing is one of the highest quality forms of custom graphics printing around, and only the highest quality printers can carry out this procedure in the best possible way. Of course, costs will be higher than regular, simple printing, but if you can find a sublimation printing company that meets your needs, perhaps for your custom varsity jackets, or even your sorority apparel, you will be able to fulfil your bulk orders without breaking the bank. Always check testimonials and ask for samples before deciding on your final design, because dye sublimation printing services are very bespoke, and you want to know that the emblem and design is exactly how you want to see it, before going ahead with a bulk order. If you can save cash on your actual printing then you can sell your custom graphics clothing onto your students and make a profit. Of course, you’re not going to sell them for a crazy price, because at the end of the days parents and students aren’t made of money, but you need to make a profit on your orders, so finding middle ground is a good idea. Whether you are looking for sporting apparel, general uniforms, under armour team uniforms, or anything in-between, being careful with your options before jumping in to large order numbers is imperative. Sublimation printing is the best one to go for, because this is the highest quality form of transferring graphics onto material, using high levels of heat, rather than allowing it to melt into a liquid form. Of course, you should let the professionals do their business, so ensure you shop around first, to get the right results for your school or college.